Purchasing a treadmill can be a wise investment to maintain a healthy lifestyle. You can have a great workout by having a treadmill at home. It helps you to experience an amazing cardiovascular exercise. But a treadmill will occupy a big amount of space of your home unnecessarily as it remains free all the day after finishing your workout. In this case, a folding treadmill can help you to save a ton of space in your room. 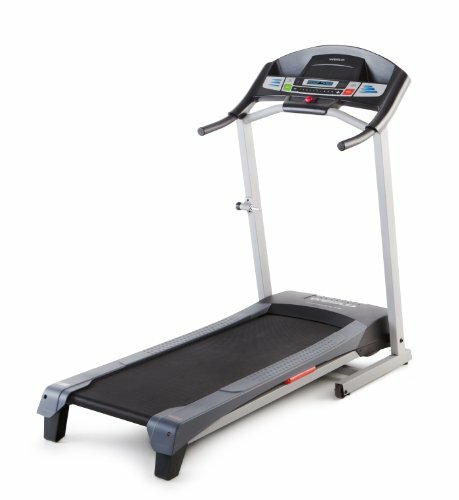 They have the same features as a normal treadmill with the extra one of breaking them out and keep in a suitable place after using. 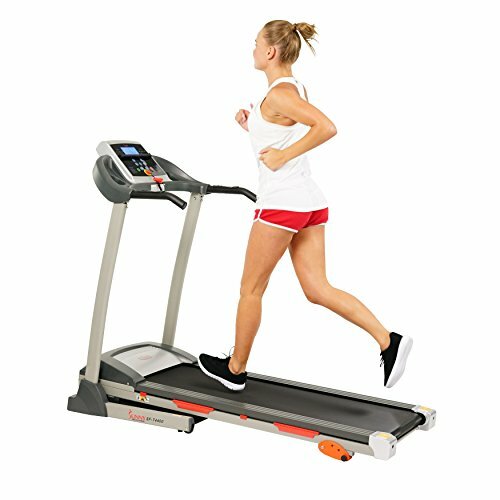 If you have a small space but want to maintain a healthy lifestyle, a folding treadmill can be the best option for you. But choosing the best one can be a tough job to do. Because all of them are not equally able to serve your purpose! So you must need to consider your requirement and look for some basic feature in the treadmill you are going to buy. In this guideline, I’ve tried to gather all the necessary information you may need to buy one for your home. You can just go through it and pick the one for you. 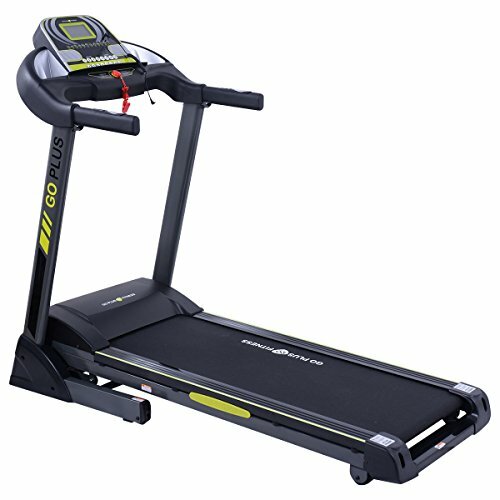 T 6.5 S model treadmill is the affordable version of Nordic T 8.5 S model. Its belt is smaller in size and have reduced capacity. It's 5 inches display, displays your workout time, speed, heart rate, distance and calories burned. However, it does its job perfectly. It has built-in apps, designed by professional trainers. These apps will automatically set your workout time and speed depending your goal. Besides, upon installation of Ifit, you will get the benefit of experiencing outdoor workout and directions from world class trainers. For me, it is a good option for people who cannot avail Nordic T 8.5 S but wants to have the benefit of Ifit. you have to pay almost the cost of this treadmill to subscribe iFit; that’s the only drawback. If you include the cost of iFit, this treadmill still costs almost half of the T 8.5 S from Nordic. The latest launch 8.5T from NordicTrack is meant to give you an outdoor workout experience, led by your own world class trainers at home. Its Ifit technology not only lets you see 16k+ workouts, it also controls the incline and speed of the treadmill to automatically adjust. In this treadmill, you can choose to run to the peaks of mountains or in the terrain of grasslands at the evening depending on your mood. Its Ifit lets you choose among the endless variety of outdoor workouts and adjusts your machine’s incline accordingly. You will never be bored or alone while working out; your trainers will always be with you to make sure you reach your target on time. It also takes a little space of your studio apartment; just unfold before you work out. Its heave, hence, not portable. 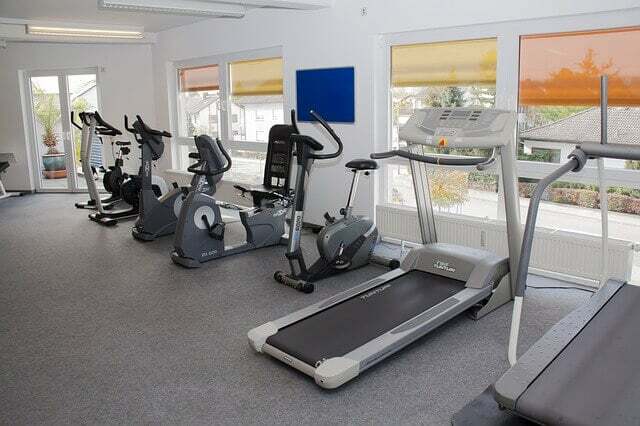 Besides, you have to pay a lot to enjoy all the amazing facilities of this treadmill. But you will never regret buying it. Achieving goal is more certain in this treadmill. F85 from SOLE is perfect for big frame bodies. It comes with the highest capacity and equipped with a longer and wider runway to fit big size person. It offers you the highest incline for heart blasting cardio. You can choose from a range of 6 built in programs or 2 custom programs for yourself. The large monitor, attached to it constantly shows your heart rate, pulse, speed. Time, calorie burned and so on. Apart from pulse reading handles, it comes with a chest heart monitor. You will have less joint pains after working out, as it reduces impact up to 40%. It is easy to fold and unfold, but difficult to move. If you are looking for treadmill you can roll from one room to another, this one is not for you. Comes with a heart rate monitor. Preparing for an upcoming marathon event? Leave the responsibility of your regular improvement on this treadmill from lifespan. Set your target and let the treadmill monitor and save your daily progress. This way, attaining your goals will be more reliable. This machine is equipped with a powerful motor with lifetime warranty. But a few users, who bought this item for daily heavy use complained about other things like the belt or frame. In my opinion, this treadmill will last longer if used for walking, jogging and light running. You will hear your favorite tracks without any noise; as, the motor runs quietly. However, The data saving mechanism after every workout is unique and useful for weight loss. For a portable treadmill, this one is a good choice to get in shape without hitting the gym. May not be for heavy use. 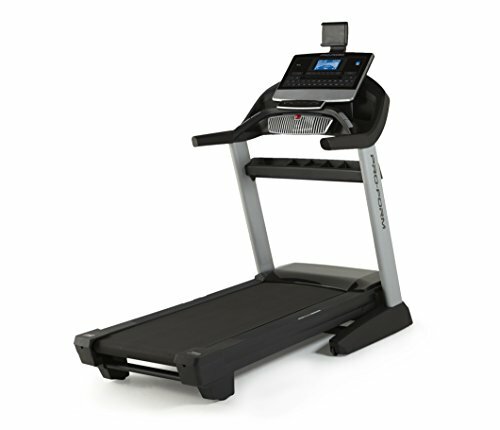 PROFORM has incorporated the features of high end treadmills in this model. But the unique part is, the walking belt can decline to 3%; whereas other machines only have incline functionality. This feature is a life saver for terrain runners to prepare for downhill race. With every change of speed and incline settings, the changes are done smoothly yet quickly. Besides, it is totally noise free, all you will hear is thumping of your racing heart. This model comes with iFIt compatibility. So, you will get endless features to keep your boredom at bay. It may seem a bit pricey if you are on budget, but considering the features, this beast worths every penny. I recommend SUNNY treadmill for oldies and old school buddies. Its easy operation and basic functions are perfect for people who are not great fan of the latest gadgets or high profile gears, but still wants to maintain a healthy lifestyle. The incline is kept within 4.37% considering the health conditions of aged people. Besides, it comes with a lower mileage and low capacity. It is lightweight, hence, even old ones can easily fold, unfold and move from one place to another. Those, who wants the touch of hi tech features can use your tab or smartphone in the built in phone holder. Its LCD screen will always monitor and display basic info like heart rate, your pace, distance and many other things. 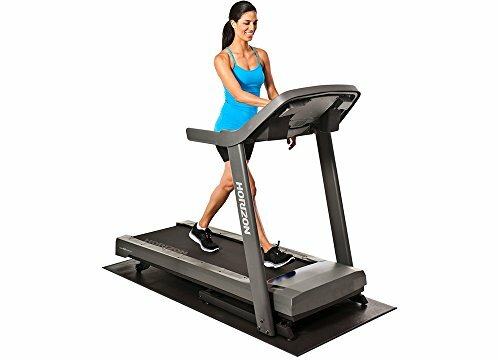 This treadmill is a budget gear, you can order this one for yourself, or present it to your parents to maintain their fitness. Thinking of starting your weight loss regime for years, but can’t start the process? 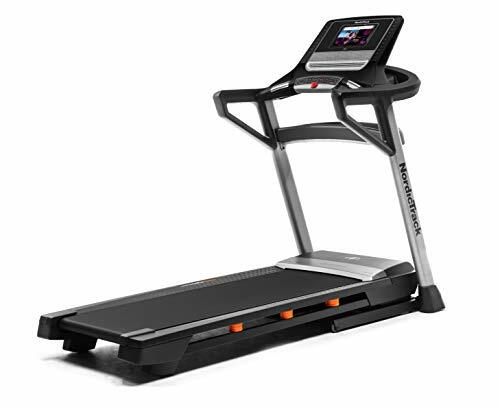 Well, start by choosing this G 5.9 treadmill from Weslo Cadence. It is neither fancy, nor high profile, yet good enough to help you start running and hold on to it. For me, its lack of advanced features is good to keep you focused, creates less distraction. There are six preset workout programs installed in it, you can choose one to start the change. The walking belt is somewhat small, so, it is not suitable for person with big paws. Another thing may seem problematic to you is, its manual incline. This feature is necessary and can be found even in budget treadmills; can’t get why they did not incorporate it in this machine. Some users complained about the ugly noise from the treadmill, but most of the users were pleased about its silent operation. Noise can result from defective motor, so, needs to send for replacement. Overall, this treadmill is a good choice for ‘not so demanding’ workout routine at home. 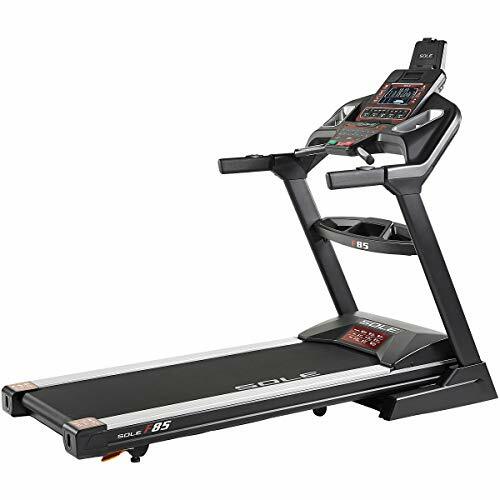 This one is a high performance treadmill with basic features. You don’t have to be a brainier to operate the basic features of GOPLUS treadmill. The best (and important to some) option is, it has safety key and emergency shut off button to power off the motor immediately whenever you don’t feel right. Patients with heart disease and unstable blood pressure needs to invest in emergency power off treadmills for home use, to ensure extra safety measures when they are training alone. 12 easy exercise programs are set in this machine. Its auto incline and high mileage in a low price helped to gain this machine gain popularity among users. Some complained about jerking motion of walk belt when the speed is set to the highest level. I recommend to oil the machine often to minimize such incidents. The belt may jerk while set in the highest MPH. Treadmills with large walking belt and high capacity is made to make house for gigantic humans. A total of 30 programs of 6 variety of workouts are installed, so that you can choose to consider your health conditions and the goals you have to achieve. Its assembly can be done one handed and takes only half an hour. Once you take your first step on it, you will realize the cushioning deck makes running or walking stress free. Besides, the LCD display lets you know how much calorie have you burned, distance covered, and time spent on the machine. The sonic surround speakers will literally blow your mind with the songs, stored in your MP3. This amazing sound quality helped me to stay motivated throughout your workout. Little adjustments and maintenance will make this treadmill last longer. The manual comes with instruction on how to adjust the walking belt if gets tight or loose, for fixing according to your requirements. It is a miniature yet high quality equipment to keep you healthy if used daily and sincerely. For every day at home workout to start the day, this kind of treadmill is good option to invest. 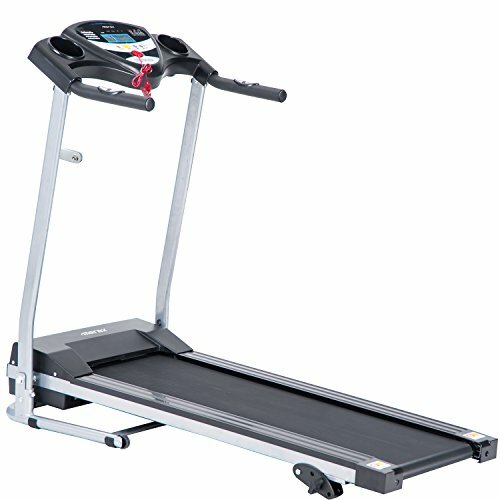 Its mileage, incline, walking belt all the made lower compared to other machines of this list. Hence, I recommend to purchase this only to small size people. It is an economic yet quality machine, will fit in majority of the buyer’s range. However, not everyone needs a high profile gadget for light workout. This one will serve all your purpose on purchase. Suitable for regular light workout. You must need to think about the cost of the folding treadmill before buying. Because if you never use a one before, it would be waste to invest a big amount of money. So you should use an entry-level compact treadmill for walking before investing in a good quality folding machine. The next thing you need to consider is the usability of the treadmill. It must be easy to use. You’ll find both easy to operate and little bit complicated models available in the market. It's totally up to you which one will you buy. If you are good with technology, you can go for one with lots of features and control facilities. And if not, you can choose the simple one. Another important feature you need to check before buying, is the stability of the machine. A lightweight narrowly shaped treadmill is easy to tip than a wide and heavy one. Because they have a wide footprint and more stable so they are free from the risk of tipping if anything goes wrong. The most important feature that you need to check on the machine while purchasing is its foldability. The treadmill you’re going to buy must be easy to set up for walking or running and also the process of breakdown. In short, the setup and breakdown process must be easy to handle for you. Usually wheels are the common feature of a compact treadmill for their portability. But some of them are designed lightweight to make them more portable. Because the reason you are buying a folding treadmill is you may need to store it at a different place from your exercise point. So if the machine is not portable, it would be difficult for you to move to the place. The reason you’re buying a folding treadmill for home is the space. So before buying, check the size is fits with your storage. No one wants to use the machine which makes annoying noise while using. So check for that issue on the treadmill. The features influence the noise of the device is: small-sized roller, thin and one- ply material and the deck without any cushion. You should buy a treadmill that has a display and a variety of programmes. Display of the machine will allow you to get the information about your exercise and workout and different programmes will help you to try different workout every day. The machine you’re going to buy must have a welded together frame. Because a welded frame is stronger than the bolted together one. You must pick a treadmill with the continuous duty horsepower motor. Because if you are going to run 50% or more time running on it, you should select the one with 3- 4 CHP motor. You may have some common queries about a compact treadmill after taking the decision. So I’ve tried to find out the most common frequently asked questions about this type of machine with their answer. Q: What does ‘CHP’ means in the motor of a treadmill? Ans: CHP is the short form of ‘Continuous HorsePower’ which means simple horsepower of the motor. It is just the updated acronym of the term HP. Continuous horsepower describes the capability of the motor than the term horsepower. CHP shows you the unit of power that can be produced continuously by the motor. Q: Are folding treadmills as strong as normal treadmills? 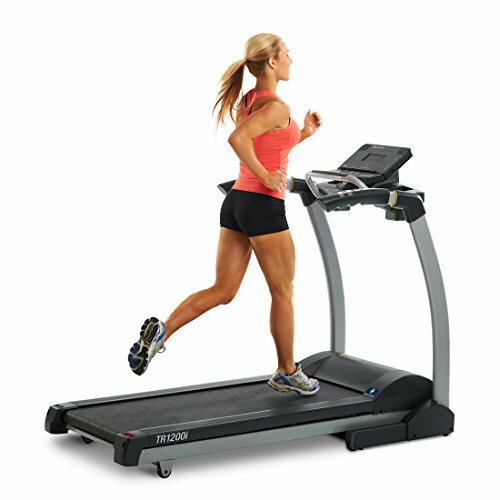 Ans: Nowadays, folding treadmills has the same strength and features like a non- folding treadmills. But they give you an extra benefit of saving your space as you can fold them up and slip them under your bed or keep them in your closet after finishing your workout. Q: Are there any difference between LCD and LED data screen? Ans: LED or Light Emitting Diode technology is the newer than LCD or Liquid Crystal Display. LED can provide you with the more clear reading of the data even in high contrast at any angle. But in LCD screen it is difficult to see the data without looking straight on the screen. LED screen will last long as it can hold the machine’s vibration better than the LCD. The repairing cost of a LED screen is also less than LCD screen because you need to replace the whole LCD console if it gets damaged. But you can only replace the individual damaged part of the LED screen if needed. So while buying a treadmill, just remember those tips I’ve mentioned above. These tips will help you to get the perfect one for you. You only need to select the one that is appropriate for your current level of health and the size that you can move easily when needed. 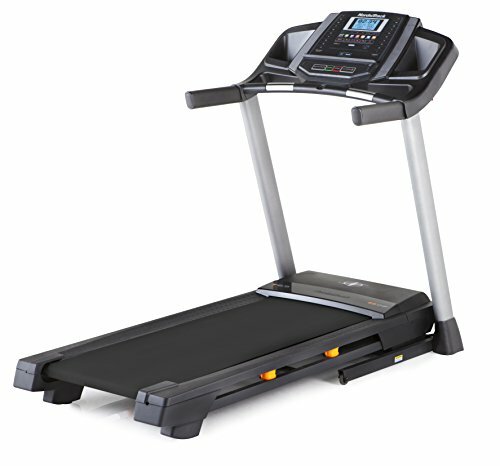 Having a perfect compact treadmill can help you to get to the goal of the perfectly shaped body.